NICI has price points to suit all and the Beanies and MagNICI’s are both ideal pocket money purchases and great for kids to collect. Beanies are small dangly plush keyrings that are available in a variety of characters from Leopards and Dogs to Sheep and Monsters. Each cute character dangles from a keyring and can be attached to backpacks, purses or a bunch of keys. MagNICI’s are a large collection of mini soft plush toys that have their own magnetic attraction. Each MagNICI contains small but powerful magnets in the hands and feet of each animal character enabling it to grab onto almost anything. 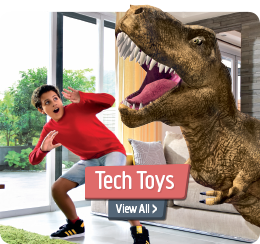 As a new best friend for little ones the collection of NICI plush toys range from 15cm up to a colossal 180cm. Each plush toy is made from the softest of material and is finished to the highest standards. All are machine washable and suitable from birth. There are many fabulous collections in Great Gizmos’ portfolio autumn including Pony Kapoony, Snow Dreams, Jolly Dean and Sue and the wonderfully spooky Miss Moonville, plus lots more! This Spring we have a number of new ranges including Jolly Amy and Frances Sheep, a cute Schnauzer, Wild Friends Australia with two Kangaroo characters and a Gecko, Ralf Rabbit, Horse Club, Summer Cow, Timmy Time 3, plus many more! We also have MiniClara, a beautiful ballet doll joining NICI Wonderland. 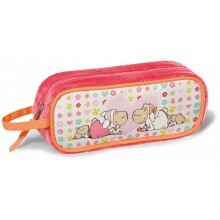 The range also features a charming selection of plush bags and colourful glasses cases. 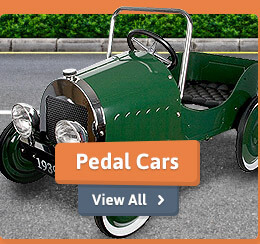 There is sure to be something to suit all children’s needs in this range. Every little one should own a teddy bear and NICI has introduced a range of wonderfully soft plush toys in a variety of sizes that are perfect for cuddles. These traditional bears range from a sweet 15cm to a huge 120cm plush that is ideal for providing big hugs. Each bear is made from super soft plush in neutral colours and is perfect for both boys and girls. NICI has been a favourite for little ones for many years but each and every season new faces add to the NICI world. The Horse Club range also provides for pocket money purchases with the dapple grey horse figurine shaped Beanies, MagNICIs and Beauties. For a small dangly charm the Beautie is the perfect choice for hanging from a mobile phone or purse, whilst the Beanie is ideal for adorning schoolbags or keys. Finally, the MagNICI is a cute horse that features magnets in its hooves so it will stick to fridges, curtain poles or even wrap around a bag strap; the possibilities are endless! Horse mad girls can decorate their bedroom with a number of pretty pink accessories that will bring a touch of fantasy to their room. The Musical Jewellery Box plays the Fur Elise melody when opened whilst a small dapple grey horse dances and spins to the tune or, for girls that have trouble waking up in the morning, the pretty Alarm Clock is perfect. Glitter Pen, plus erasers, pencil sharpeners and a ruler that has an open out mirror are also available. This fab collection is the perfect choice for girls who want to be cool at school. For added comfort, children can snuggle up with the super soft cushions complete with animal designs or have a cuddly bedtime buddy with the various plush blankets. 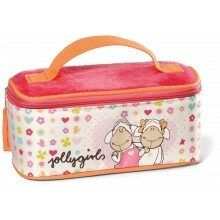 The range of Pencil Cases and Stationery ensures children can take their cuddly friends to school too. They can choose from either a zipped case or a super stationery roll, complete with elastic loops that will keep all pens and pencils safe. Then as they get older, kids can indulge in other treats such as Wallets and Mobile Phone Cases. All can be carried in the gorgeous range of bags, which come in several styles from soft shoulder bags to practical overnight and travel bags. A quirky gift in the collection and perfect for keeping kids cosy are the super soft plush Slippers, which teamed with the plush Hot Water Bottles will ensure that this kids never gets chilly. Finally, beautiful keepsakes are also abundant with a range of Snowglobes, Photoholders, Mugs, Money Banks, Coin Bags, Notepads and Wallets that make ideal gifts and special treats.